New York, NY, October 7, 2016 – AIGA, the professional association for design, announces an extraordinary joint venture with Design Observer that will expand AIGA's content offering to its 26,000 members and reinforce AIGA as the authority in contemporary design practice, theory, history, and leadership. From its new home at aiga.org, Design Observer will consolidate its existing podcasts under the newly launched Design Observer Podcast Network. Building on its reputation in design and cultural criticism, Design Observer @AIGA will continue to capture and comment on the state of design via its blog. 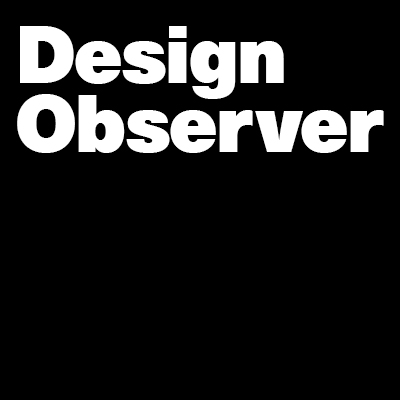 From its new home at AIGA, we will launch the Design Observer Podcast Network, which includes the beloved Design Matters with Debbie Millman and The Observatory, a bi-weekly program hosted by Jessica Helfand and Michael Bierut that looks at current events as they relate to—and are impacted by—design issues. A new Design Observer podcast recorded at the Yale School of Management, The Design of Business | The Business of Design, launches this month, and Observed—the site’s daily design snapshot will continue as well. Beginning next month, Design Observer will feature a daily feed of curated images from VII, the international photojournalism agency. Sharing these images reinforces Design Observer’s commitment to global coverage, and extends its mission to provide timely and powerful visual content to its readership. Design Observer @AIGA will continue to publish essays, interviews, and articles that address design in relationship to politics, science, journalism, music, media, and history; about design impact in cities, design-led innovation, the intersection of design and technology, and design leadership models in business and government. "This new media platform will deliver the fundamental values of AIGA: design excellence, leadership, impact, and equity," says Julie Anixter, executive director. While Design Observer cofounders Jessica Helfand, Senior Critic at Yale School of Art, and Michael Bierut, Pentagram partner, build a new program in design at the Yale School of Management, Design Observer will be accessible from the aiga.org website. Both Helfand and Bierut will sit on a newly formed editorial board that includes AIGA medalist Sean Adams, executive director Julie Anixter, board member Ashleigh Axios, IBM Distinguished Designer Doug Powell, and AIGA board member Christopher Simmons. Working in collaboration with the existing team of writers and columnists who have helped shape Design Observer over the years, including Steven Heller, Debbie Millman, Rick Poynor, and Véronique Vienne, among others, the editorial board will also involve selected AIGA Medalists, AIGA Fellows, and thought leaders culled from AIGA’s membership. Finally, this new joint venture means that the esteemed 50 Books/50 Covers competition—the longest running design competition in the U.S.—will return to its roots at AIGA, where it was originally launched in 1923, with plans to exhibit the winners in 2017.